Finally. Singapore announces F-35 as F-16 replacement. Fully expected though a long time in coming. Given the glacier pace of the evaluation and final decision (though "considered", the China Stealths were never seriously in the mix), I guess it won't be in the RSAF fleet till at least much into the later half of the next decade. The B version is almost a given. The question is how many will be the initial few. 4 would be a tad little, with 8 the upper limit. Re: Finally. Singapore announces F-35 as F-16 replacement. The B version is almost a given. Why tho? Singapore has no flat top ships. The A should cost less and offer better performance. I also think Lockheed only brought the A model to the singapore air show last year, no? Yeh the -B doesn't really make sense. Given the glacier pace of the evaluation and final decision (though "considered", the China Stealths were never seriously in the mix), I guess it won't be in the RSAF fleet till at least much into the later half of the next decade. Singapore is a Security Co-Operation Participant in the JSF program, so acquisition of the aircraft as you state is hardly a surprise although Singapore will have to acquire along a similar path to Israel, likely through an FMS buy. There is certainly space in the production line for Singapore to receive two or three aircraft every year for 3+ years, especially if Turkey either reduces or is removed from the program, but the earliest they could realistically start receiving jets if they ordered today would be 2022. I'm not sure how much technical detail Singapore would have been provided to evaluate the Chinese aircraft anyway. I would say some hesitance from Singapore has been related not just to the aircraft completing its development program, Singapore acquires little equipment that is in development (obviously outside indigenous development), but wanted Blk 4jets with the specific improvements. In that context the middle 2020s is the right timeframe for initial deliveries. I was thinking 6 the lower and 12 the higher. The RSAF has 60 F-16s today so 12 would be a fifth of the fleet and allow a decent evaluation. The interesting question is whether Singapore will deploy the aircraft in Singapore for the evaluation period or keep them primarily in the US (with trips to Singapore for local testing) where a decent portion of their fighter fleet is based anyway. Agree although a mixed fleet is also possible, perhaps two squadrons of Bees and two of As. Singapore has expressed interest in Mistral class vessels previously but the acquisition of the Bee would not be for naval use. Singapore a long stated concern about the survivability of their runways during a conflict. Given the small size of the island the B version would offer them the ability to operate from much smaller strips and significantly increase tactical flexibility. The B has a smaller fuel fraction and lower G limit but Singapore isn't after a long range strike aircraft with the F-16 replacement (while the B has a similar range to the F-16C in RSAF service anyway) so the B version would be more than suitable. Yes, I fully expected the choice of the F-35 and I do remember speculation a while ago that Singapore might go for the B model in a mixture with the A model if the F-35 was chosen. Singapore definitely could do with dispersed F-35Bs in the case of conflict with so few airfields available on the island. I wonder if the RSAF would participate in any joint training/maintenance of the F-35s with the RAAF? I guess the established F-16/F-15 arrangements in the US may be more attractive to the RSAF. I wonder if the RSAF would participate in any joint training/maintenance of the F-35s with the RAAF? I guess the established F-16/F-15 arrangements in the US may be more attractive to the RSAF to expand to include the F-35. It would depend on the quality and availability of ranges and training facilities in Australia; Singapore might just prefer to keep training their pilots in the US because of the quality of the American training regime, and the large and excellent ranges available. Yes, barring any drastic rethinking which is highly unlikely, the US it will be. I actually think the B model might get purchased. Singapore currently have to train their pilots overseas due to the lack of land. The F-35B could change this. The F-35B is the first aircraft that offers F-16 performance, stealth and VTOL. The VTOL F-35B could operate from one of their small bases that currently use helicopters and has has no runway. Range and payload capability eould be significantly reduced if the aircraft has to take off vertical but for training it will be more than good enough. All of the RSAF's helicopters are based at Sembawang air base, which actually has decent runways, albeit perhaps too short for modern fighters (the longer is some 1900 m in length). With Singapore being so densely populated, I think noise could be a larger issue. The F-35 seems to be louder than the F-16. Tengah air base is relatively close to residential areas. Changi on the other hand has less impact but I'm not sure if you want to operate brand new stealth aircraft from a mixed civilian - military airport. The initial purchase of a "few" (could be any number from 4 to 8) is very likely to be that of the Bs. The highly probable follow-up batch/batches could possibly be a mix of Bs and As, with a higher A ratio. The F-35 will not solve the scarcity of training grounds. Huge acres of airspace beyond what the Republic possess is required for such purposes. The RSAF will continue to train at its long term "overseas bases" like the US, France and Australia (also previously in the Philippines at Clark before Mount Pinatubo blew its top). Its planes also train, and support its other armed services on and off in other countries such as Brunei and New Zealand. What the Lighting II will bring to the table is the option to disperse its home operations to small non-airbase nooks and corners if/when the needs arise. Additionally, the RSN will soon acquire the Joint Multi Mission Ships which are likely to be of 15,000 to 19,000 tons, with flattop. That's another basing possibility which will see the ratio of the B at least on parity with the A. The VTOL F-35B could operate from one of their small bases that currently use helicopters and has has no runway. Sembawang Air Base in the northern part of the island is where the 100 or so helicopter fleet is based. Though the smallest of the 4 current RSAF bases, it is not that small. Last edited by neutrino on Sun Jan 20, 2019 11:12 am, edited 1 time in total. Didn't see your post until now. The main fighter base is Tengah, with Changi being continuously further developed. Paya Lebar, which was the civil airport before the move to Changi is in the plans to become a industrial/residential zone. Its operation will be transferred to Changi, but not anytime soon. Tengah is progressively being cleared of residential units in its take-off/landing path, especially in the north and west. For the newer developments in its east and southeast, the dwellers know what they are getting into when they decide to settle there, so hardly any complaints about noise which is also well-managed with restricted night flying times. The last hooha was eons ago when red dyes from the Black Knights aerobatic team's colored smoke trails contaminated the nearby farmers' vegetables but that had since been satisfactorily addressed. I see. Of course the areas north of Tengah are directly under the departure path and get more noise than those south of it, since all departures are to the north. My impression had been that they want Jurong, and especially Jurong West and the area around NTU, to gain more local business and also more residents. The new MRT line is part of that. It's just not feasible to have them all commute to the city center daily. On the one hand, they know what they're getting into, but on the other hand, incentivizing people to live and work there while consciously increasing the noise levels seems a bit unfair. But it's Singapore, so nobody will complain anyway. The RSAF already has some highway parts that can also serve as runways in times of need. The STOL capabilities of the B might give them more flexibility here. There's also a plethora of small islands in the area that could be considered for improvised air bases with VTOL aircraft. While the JMMS may be able to launch F-35s, the number carried will be small. Even the much larger Izumo-class of the Japanese can only carry a dozen or so F-35s. I wouldn't expect regular F-35 operations from the JMMS. Those public roads; the East Coast Parkway and Lim Chu Kang Road close to Changi and Tengah respectively present a good option for emergencies and exigencies. As demonstrated in exercises held, they could be prepared and ready within 24 hours for conventional fighter take-offs and landings but such proximity make them somewhat vulnerable to the same preemptive strikes as the actual runways themselves. So, with the STOVL solution, it will add another layer of defensive planning. As said, its a possibility, not a certainty. 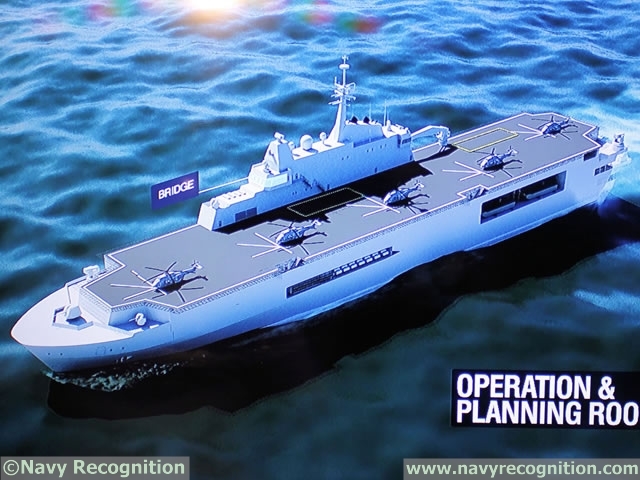 However, if the choice of JMMS falls on beyond the publicly presented Endurance 170 plans, say an Endurance 190 (that will be very much larger than Thailand's HTMS Chakri Naruebet "pocket carrier"), then I see a "carrier" for at least 8 birds. Not a large number but a viable deterrence nonetheless. There will be 4 JMMS and though not all will carry the F-35 at any one time, there could be reasonably up to 16 out at sea. Of course like the Japs, the SG authorities will initially be showing that it will be only for choppers. (I do remember that prior to acquiring the F-5s, with the press speculating, the govt was saying that they won't be going for supersonics yet). The SG F-35Bs might not be permanently ship-based but I do anticipate frequent attachments/rotations. Even if its the 170, the option is still there albeit of reduced capability. We shall see soon enough. Thanks for posting that, I wasn’t aware Singapore was looking at additional larger Endurance vessels. It will be interesting to see if or how they operate the F-35B off an enlarged Endurance. The length is just enough required for the aircraft if a skijump is installed (the UK estimate approx 140m with the skijump with a decent payload), especially in the context of Singapore likely not requiring a large fuel load for regional ops. Singapore does conduct basic flight training in Australia but nothing beyond PC-9. The chance of Australia and Singapore cooperating on F-35 is very unlikely. They will both be in the global spares pool and Australia will likely be the MRO location for Singapore aircraft but other than coming down for Pitch Black and RAAF jets going to Singapore for exercises (what happens today) I don’t expect anything further. In fact Singapore has talked about New Zealand as a likely location over Australia to base a squadron of fighters, primarily for airspace considerations so I would consider that more likely than adding to an Australian base. Operating Bees would also be a change for the RSAF given they have almost exclusively dealt with the USAF while you would expect they would form a relationship with the USMC who is the only US operator. Unfortunately a base in NZ is also unlikely, but may occasionally visit. It was decided last year that Ohakea would be under too much strain to host the F-15s (along with the RNZAF's P-8s on the way), and the cost of upgrading facilities for a permanent base would be too high. Don't think Singapore had PC-9s. Their PC-21s replaced SIAI 211s. Interesting, didn't realise NZ had been ruled out and yes my mistake on the PC-9/PC-21. I wasn’t aware Singapore was looking at additional larger Endurance vessels. Not additional. They will be replacements, the 3rd generation of the Republic of Singapore Navy's largest ships. The first 4 were the exUS County class LSTs, in service from the '70s to the turn of the century. The current ST Marine built Endurance 140 LPDs are due to be retired sometime in the next decade, probably starting from near the end of the first half of the '20s. The slated replacement JMMSs could conceivably be Endurance 170s, or likely even bigger versions up to 190 or 200. (The model numbers correspond closely to the ships' length). Unlike the US where the service arm (USN/USMC) operate both the planes and the ship which they are on, the RSN, being so very much smaller, do it differently. Though the Sikorsky S-70B fleet belong to the navy and carry its markings, they are fully operated by the RSAF - both air and ground crew. Their land base is the air force's Sembawang Air Base. So it will not be a stretch to say that the RSAF F-35Bs (assuming that this version will be procured) will be "guest tenants" of the future JMMS. The name - Joint Multi Mission Ship - is clue that they will serve all arms of the whole SAF.